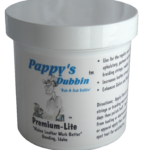 Great for thin leathers and is very creamy and nice to use. I soak saddle string, lacing strings or braiding string in it for an hour or two or over night, squeegee it off between my fingers, let it cure for a couple days or just use it wet if pressed for time. It makes strong and beautiful strings. My favorite leather is a dry Indian tan latigo and soaked in Liquid Dubbin, it makes beautiful strings. 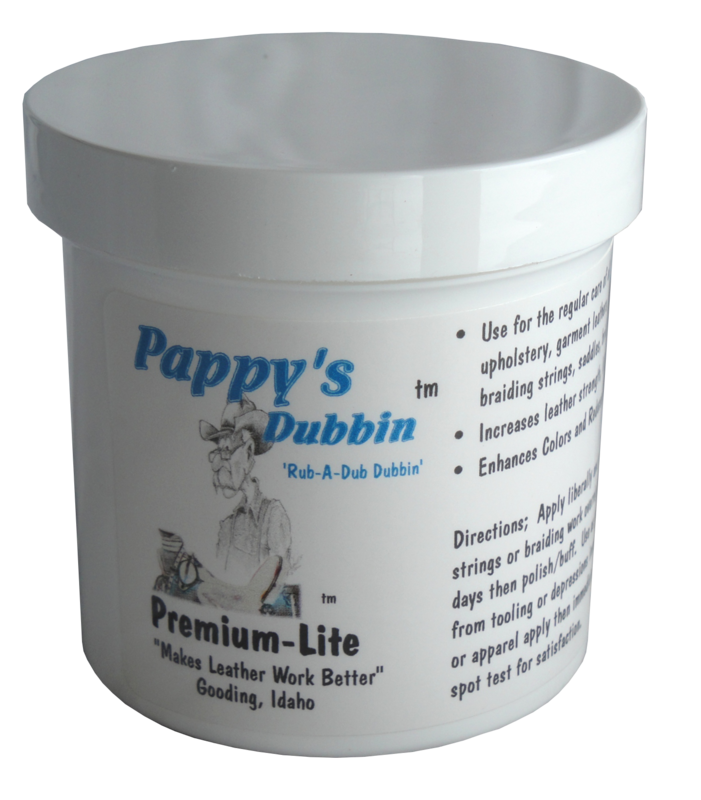 It is a very versatile product and quite different from other Pappy’s Dubbin products. 16 ounce is recommended because if is less expensive per ounce for both shipping and purchase. The Gallon is the most economical and works the best for soaking items.